Guest blogger Sue Ross, Executive Director of Berryville Main Street, has 10 years of Main Street experience and recently returned to Berryville to lead a refreshed program, creating new partnerships and an enhanced marketplace. Berryville Main Street turned 25! 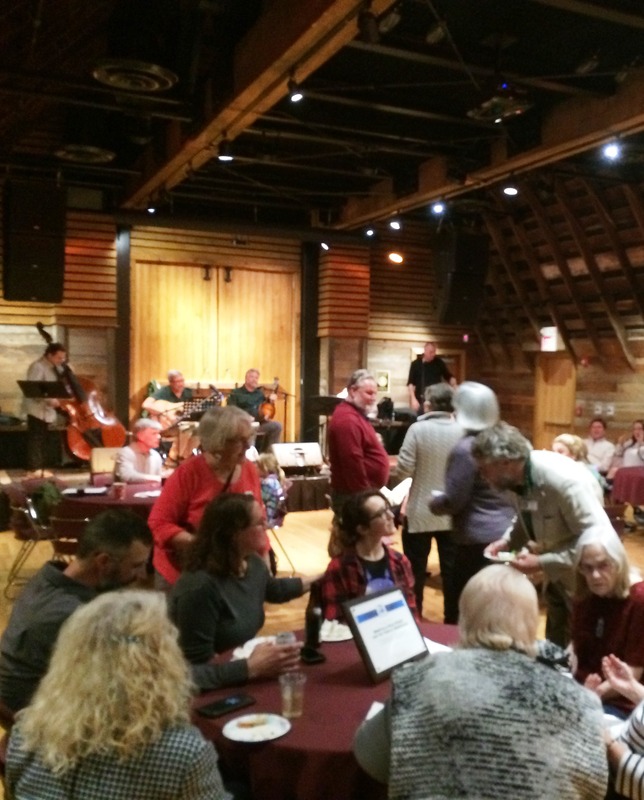 We celebrated with bluegrass, local food, and friends in a restored downtown dairy barn. Started in 1992, Berryville Main Street successfully sought Virginia Main Street community designation and National Main Street Accreditation to encourage the growth and revitalization of their small town. As one of the oldest continuously designated Main Street communities in Virginia, Berryville has seen numerous building improvements, new businesses, job creation, and retail promotions resulting in a revitalized downtown. Successful partnerships include Town and County, community leaders, businesses, area schools and nonprofits. In 2016, Berryville Main Street was recognized with a Virginia Main Street Milestone Award celebrating more than $30 million in private investment. In these 25 years, many memories have been created with events like Barn and Blue Moon Dances, Monthly and Holiday Craft Markets, Arbor Day clean-ups, Volunteer Brick Awards, and entrepreneurial ventures like the Fire House Gallery. Berryville Main Street also spearheaded the restoration of the Barns of Rose Hill as a cultural center and visitor center. Much of this would not have happened without the unfailing volunteer commitment of Susi Bailey, who was recognized for her service to downtown with a handcrafted garden bench from Smallwood Woodworking. Berryville Main Street has certainly seen the ebb and flow of volunteers, board members, government officials and businesses over the years, but the vision remains constant: Keep Berryville a vibrant, vital, unique, attractive, and family friendly place to shop, enjoy and live. Thank you to everyone who has been a champion for downtown and supported Berryville Main Street!